I have just started tackling some research for building out our registry. My fiancé and I already live together — in fact we’ve lived in 3 different apartments over the past few years and have accumulated lots of kitchen items — but most of those things are hand-me-downs, and college-era relics. I’m talking all about my plans for building a registry of kitchen ‘upgrades’ over on Wayfair’s My Way Home blog today — head over and join the conversation! Boston Fashion Week. Pink Polka Dot Pumpkins. One Response to "Tackling the Wedding Registry." 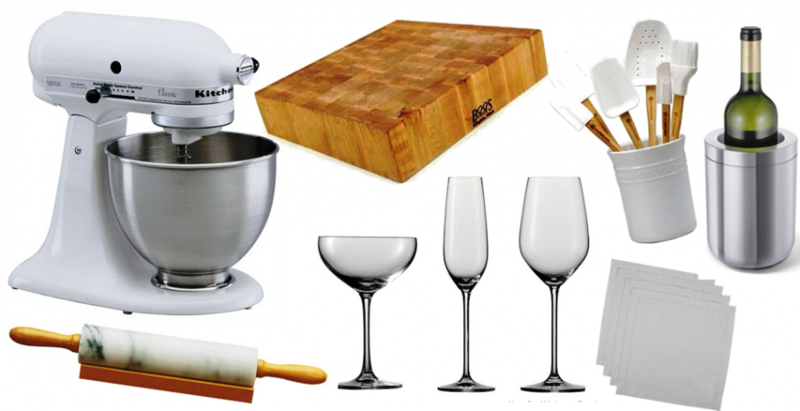 I dream of owning a kitchenaid… one day!